Looking for ideas to keep the children entertained and busy over the Easter break in and around Birmingham? WeekendNotes has a list of top ideas for families that won't break the bank. The Wonderful World Of Trains And Planes is in Mary Ann Street, just off St Paul's Square, in the Jewellery Quarter. Wonderful World is a small, interactive museum over three floors that will keep children and adults entertained for an hour or so. Trains are its main focus and the model train sets do have an amazing amount of wonderful detail with tiny figures and buildings recreating scenes from Britain, Germany, Holland and even the Canadian Rockies. A new American scene featuring Amtrak trains is being created during 2016. There's also a model train set with Thomas The Tank Engine and friends that visitors can operate themselves around the track. The plane side of things is on the first floor and includes simulators to try your hand at being a pilot and also an air traffic control where you can watch take-offs and landing. At the far end is also a scalextric race track aimed at the over 16s with two cars. 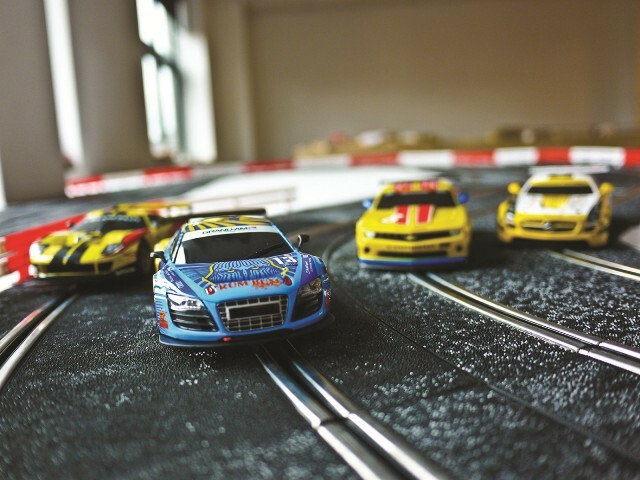 Younger children don't miss out as there is another Scalextric four lane track on the top floor that they can use. 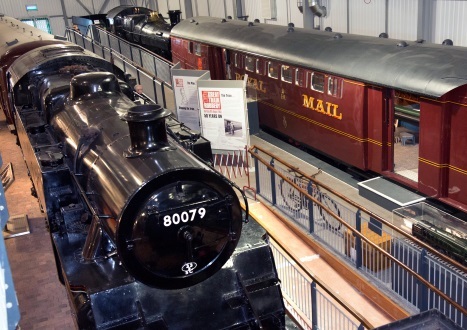 It's also on the top floor that you find more train models plus a diarama from the First World War and a scene from a prisoner of war camp from The Second World War. 3 Mary Ann Street, St Paul's Square, Birmingham, B3 1BG. Wednesday to Sundays during term time. Tickets cost £7 adults, £6 seniors, £4.50 children or a family ticket costs £18.50. 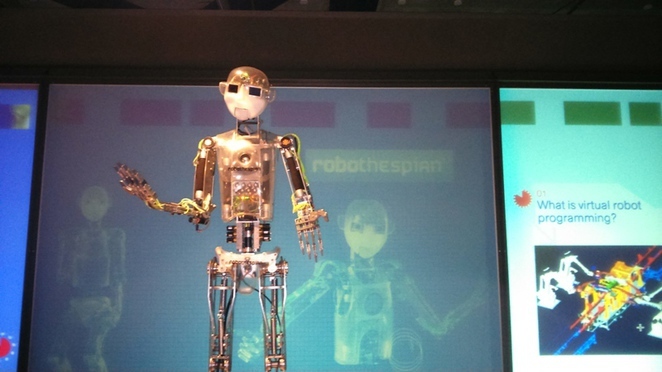 Birmingham is packed with fun, interesting and educational museums for science, art and history. On the science side of things, there is Thinktank at Millennium Point near Birmingham city centre, which has a vast array of classic and modern exhibits, like a police forensic lab to solve a crime. Then there are huge steam-powered machines from the industrial revolution on the ground floor of Thinktank along with a historic street tram to step on to and experience. Outside, there is a science-themed playground for children too. Delve into art and sculpture at Birmingham Museum and Art Gallery, where families can also take in the historic Staffordshire Hoard exhibit for free. The ancient artefacts from medieval times will open even the youngest eyes to how their descendants used to live. Turn back the clock at The Black Country Living Museum in Dudley where special Easter activities are organised to keep little hands and minds busy. The recreated village is packed with places to see and people to meet including pretend shopkeepers, school teachers, chainmakers and glass blowers. Children especially love the old fashioned sweet shop and fish and chip shop that makes mouth-watering portions in the traditional way using beef dripping. Adult tickets cost £12.75, children aged from three to 15 tickets cost £8.90 and children under 3 go free. Open everyday from 10am - 4pm during school holidays. Egg hunts take place across Birmingham at main attractions like Cadbury World - the home of chocolate. Along with easter activities and egg hunts, families can also learn how Cadbury's chocolate bars are made, experience a rollercoaster in a 4D confectionery-themed adventure and add a sweet treat to a pot of warm liquid Cadbury Dairy Milk. 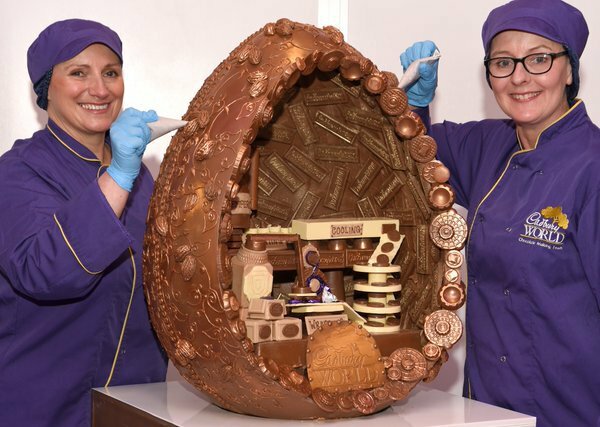 Other attractions at Cadbury World including discovering the origins or the cocoa bean amidst trees and waterfalls in the Aztec Jungle, taking a journey back to the Victorian period when the factory was first created and tour part of the Cadbury factory floor. Linden Road, Bournville, Birmingham, B30 1JR. Adult tickets cost £16.75, senior citizen tickets are £12.65, entry for children aged 4-15 years costs £12.30 and under fours are free. Under 16s must be accompanied by an adult. Tickets must be booked in advance to guarantee entry. Book tickets from the Cadbury World website or call 0844 880 7667. All aboard for a day off fun on a steam train. Youngsters will love the thrill of taking a trip on one of the many railway treasures at the Severn Valley Railway from Kidderminster to Bridgenorth. Most people join the train at Kidderminster Station in Comberton Place, Kidderminster, where they can take a journey to Highley and onwards to Shropshire. 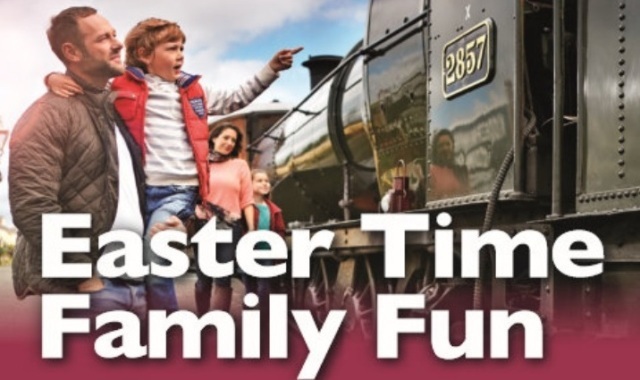 The historic trains leave daily over Easter and families can stop off at Highley for a visit to The Engine House, where there is a Visitor & Education Centre featuring full-size steam locomotives, the history of trains in Britain and the Flag & Whistle Food Stop to enjoy a spot of lunch or other refreshments. Entry to The Engine House is free with the Freedom of the Line ticket. Bridgenorth is a beautiful quaint town with shops, cafes and a funicular and there is plenty of time to enjoy a trip into town before catching the train back to Kidderminster. Adult tickets range from £8 to £19 depending on which train station you visit. Child tickets range from £5.50 to £13. Birmingham Donkey Sanctuary is a short walk from the Town Gate of Sutton Park and is a real treat for children to see lovable donkeys up close. 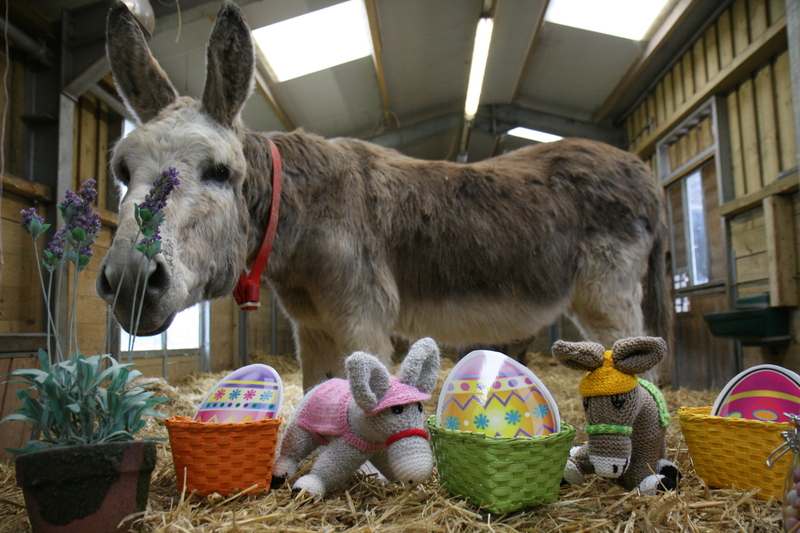 It's free to go and visit the playful donkeys as they graze in the fields, and families can even foster or adopt one. The Sanctuary recommends phoning ahead to check that the centre is open as usual and there is space available to visit. Birmingham has some of the grandest historic parks in the region and Cannon Hill Park, on the edge of Edgbaston and Moseley, is no exception. Along with a boating lake where families can rent pedalo boats, there's also a mini golf course and tennis courts to keep children entertained. 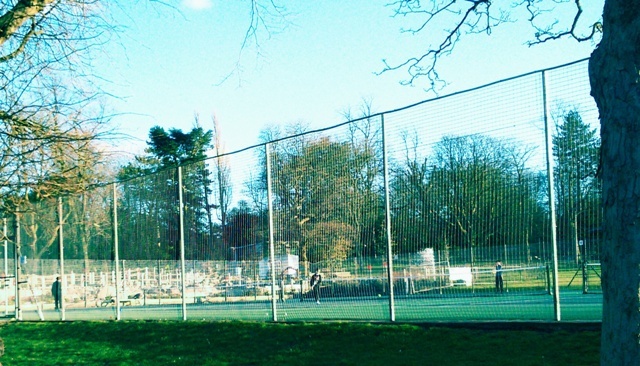 Anyone for tennis at Cannon Hill Park in Birmingham? Cannon Hill Park, which was awarded Green Flag status - meaning it's one of the best green spaces in the UK, has five tennis courts that can be booked through Birmingham Park Tennis. In terms of the mini golf, there's two 18 hole courses that range from easy to difficult. Opening times are 11am – 6pm weekends and school holidays and costs £5.60 for adults, £4.60 for children or seniors and £18 for a family ticket of two adults and two children. For further ideas, also see our Top 5 Things To Do With The Kids Around Birmingham.